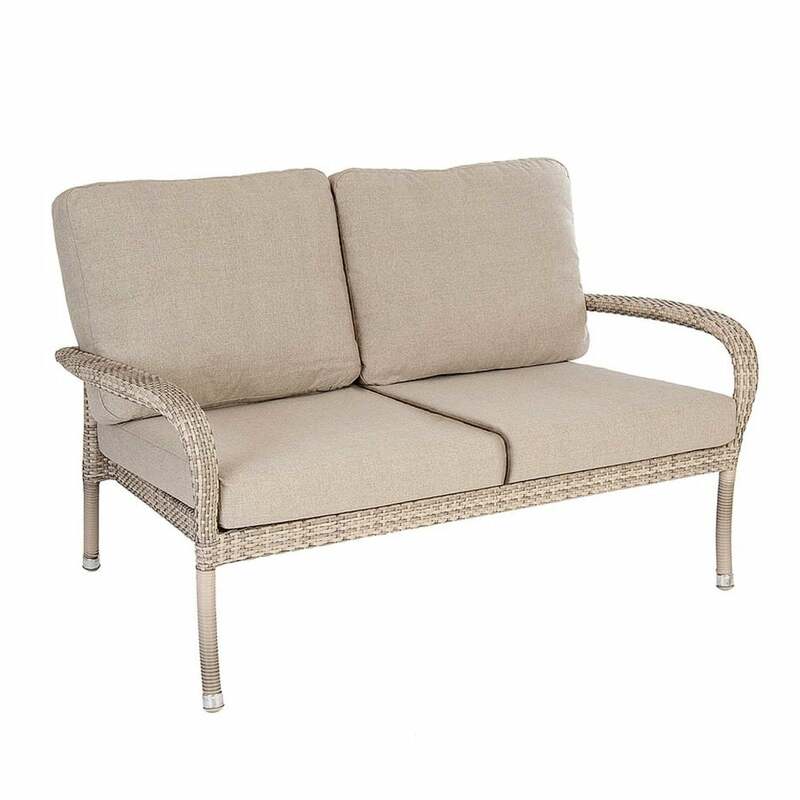 Alexander Rose Ocean Pearl Two Seater Lounge Sofa: The Alexander Rose Two Seater Sofa comes in this elegant and high quality Ocean Pearl Range and would make a wonderful addition to your garden furniture set. The Ocean Pearl Two Seater Sofa is made with 7mm flat pearl rose fibre weave, woven onto powder coated aluminium frame for a sturdy design. The Alexander Rose Lounge Sofa comes complete with luxurious seat and back olefin cushions for added comfort and armrests to provide you with added support when relaxing in the garden.